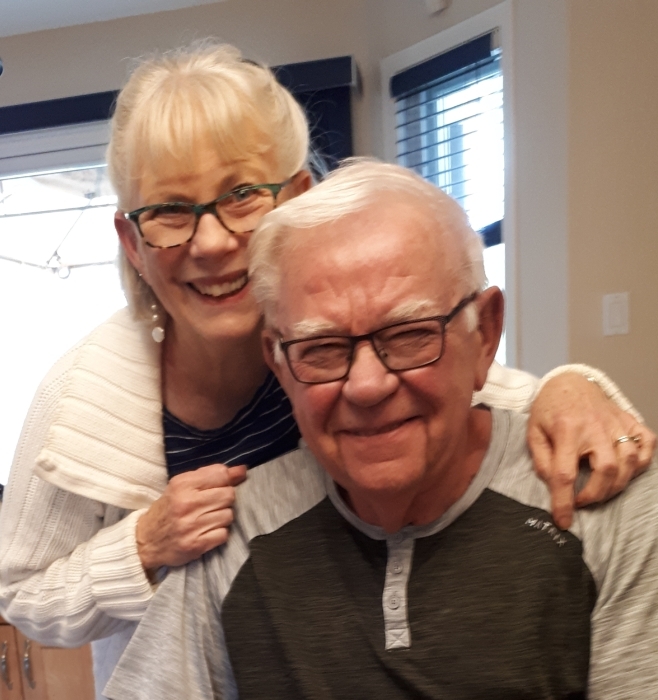 Allan Clark McAskile of Parksville, BC passed away after a brief battle with cancer surrounded by his loving family on Friday, February 1, 2019 at the age of 76. Allan was born on Oct 23, 1942 to Clifford and Joyce McAskile and grew up in Vulcan, Alberta. Allan is survived by his loving wife, Donna with whom he enjoyed 56 1/2 years of marriage; sister, Carol (David); nieces Kathy (Darryl) and Maureen (Aldean). He is also survived by his children, Clark (Anna), Kara, Alyse (Richard), Evan (Erin); grandchildren, Kylan (Mandy), Rachel (Owen), Kelsey, Shayla, Devyn, Taryn, Liam, Dani; great grandchildren, Jeremy, Shane, Aubrey, Carmen, great niece Cammie; and great nephew, Tyler. Allan started his working career with the Bank of Commerce in Pincher Creek, Alberta. In 1963, he moved back to Vulcan and worked in the McAskile Menswear store with his parents, Cliff and Joyce. He then worked for both the Town of Vulcan and County of Vulcan as Transportation and Maintenance Supervisor. In 1989, he moved to Parksville, BC and worked as the Supervisor of Transportation with School District 69 until his retirement. After his retirement, his passion for curling led him to 4 ½ years as the manager of the Parksville Curling Club. Allan also was dedicated to community service and spent countless volunteer hours with the Vulcan Town Council and hospital board, Vulcan Lions Club, Qualicum ECHO Players Theatre, Parksville Curling Club, Lantzville Probus, Lord Our Savior Lutheran Church, and mentor and coach for the “Special Olympic” athletes. Allan will be greatly missed by his family and a lifetime of friends in both Alberta and British Columbia. Please join us for a Memorial Service (Celebration of Life) to be held at 3:00 pm on February 16, 2019 at the Our Savior Lutheran Church, 795 Island Hwy West in Parksville, BC. An internment service will be held in Vulcan, Alberta in early summer with the date to be determine. In lieu of flowers, please consider honouring Allan’s memory by making a donation in his name to the BC Mission Boat Society 250-248-5300 / office@bcmissionboat.org.